The Crafty Basement has a very convenient kitchenette. Not for cooking, which I don't do in a real kitchen, anyway, but for the crafty necessities. It has a nice deep sink very much needed to rinse paintbrushes, and that kind of stuff. In a nice soap-dispenser and soap dish. 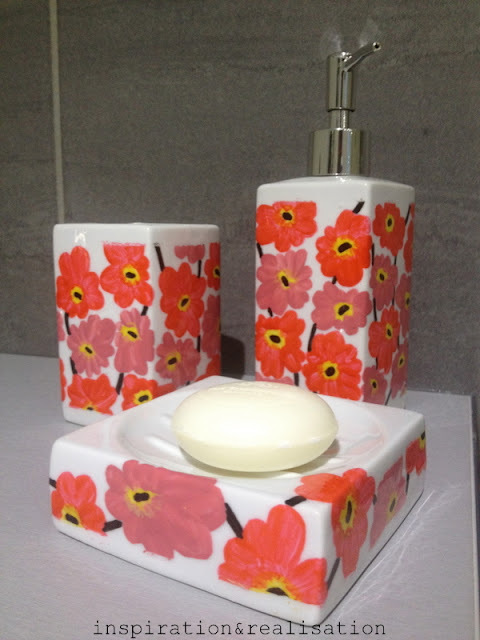 Found a not-so-nice very-boring white set for 5.99 E.
I thought that giving a splash of colors would be the way to go, and since I love the Marimekko poppy (unikko) print I would give it a try. 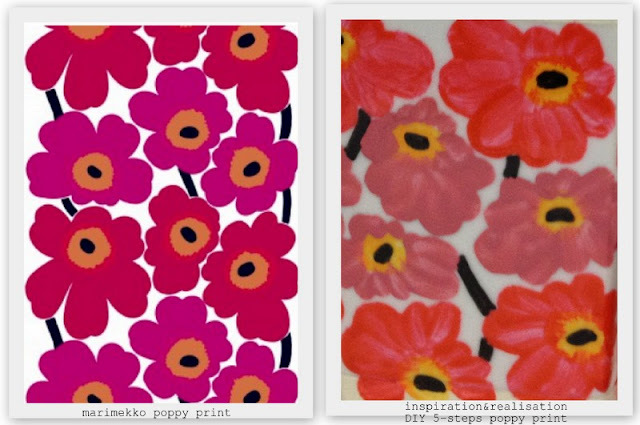 ... and you've got poppies!!! Hai fatto caso che il dominio di blogger ieri è cambiato da .com a .it? vedo che è successo anche a te! I told you. I love your version of Marimekko. Great! This is a work...you must do this stuff with love..